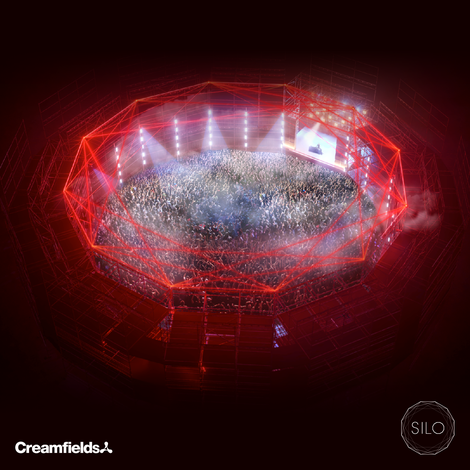 With new superstructures, arenas, and its line-up already revealed, Creamfields recently revealed that they will open up Electric Oasis this year, an all new area nestled in the woods. A carefully curated music and performance space exclusively for campers, set away from the main arena, the all new village features live music, chill out beds, hammocks, theatre, comedy and ‘alternative’ circus performers plus an arcade of suitably fitting concessions ranging from Transformation & Beauty booths, glitter studios, massage and rejuvination space and alfresco dining area. With less than two months to go, this announcement is the latest in a long line of new additions to this year’s festival and follows recent news that there will be a series of special guest surprise sets happening each day this year. With even more surprises still to come Creamfields 2018 may well be the biggest one yet. Creamfields returns to Daresbury, Cheshire, UK for four days across the August Bank Holiday weekend, with over 30 stages hosted by some of the biggest names in electronic music including Above & Beyond, Adam Beyer, Alesso, Andy C, Annie Mac, Armin van Buuren, Armand Van Helen, Axwell & Ingrosso, The Black Madonna, Carl Cox, Camelphat, The Chainsmokers, Chase & Status (DJ set), Dimitri Vegas & Like Mike, Diplo, DJ EZ, Duke Dumont, Dusky, Eric Prydz presents HOLO, Fatboy Slim, Faithless (DJ Set), Galantis, Giggs, Goldie, Green Velvet, Groove Armada (DJ Set), Hannah Wants, Hardwell, Hot Since 82, Idris Elba, Jamie Jones, Joris Voorn, Joseph Capriati, Kölsch, Krept X Konan, Leftfield (DJ Set), Loco Dice, Luciano, Major Lazer (Live), Marco Carola, Martin Garrix, Martin Solveig, Maya Jane Coles, Mistajam, MK, Nicole Moudaber, Oliver Heldens, Patrick Topping, Pete Tong, Ramz, Roni Size, Rudimental (DJ Set), Sasha & John Digweed, Sigala, Sigma, Skream, Solardo, Stefflon Don, Steve Angello (Live), Sub Focus, Sven Väth,, Tiësto, Timmy Trumpet, Virtual Self and and many more.